“Fulfilling our promise of continuing to offer value to our users and growth through product expansion for our partners, has been a large focus for Citizen” said Vic Barczyk, Executive Vice President for Citizen Systems America. 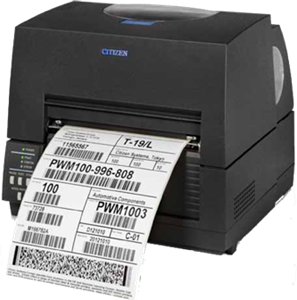 “Our new desktop products meet common uses in the thermal printing space today, and our unique 6-inch wide printer offers the ability to expand those common uses even further”. For more details or to order a CL-S6621, contact us at BarcodesInc.